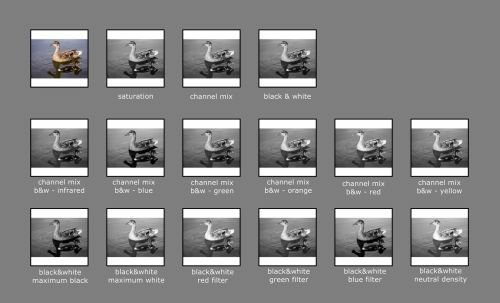 When it comes to black and white conversion, there is no definitive method that will get the best results every time. 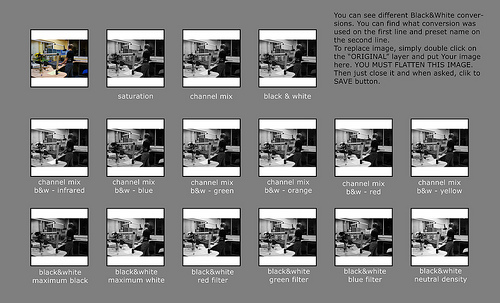 Some use the channel mixer conversion, while others will swear by black and white filter. Other just like the simplicity of the desaturate function. Which one is the best? It depends. 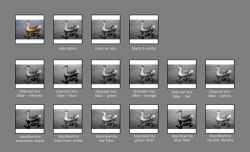 This is why I was so happy when Ladislav Soukup from ladasoukup.cz (flickr) sent me this cheat sheet. Read on to find your best suited conversion in an instant. Have you ever converted any image to black&white? If yes, do You remember how many different ways and settings are there? Just create one big file, use place command to place some image as smart objects and then make many copies of it (use duplicate layer). 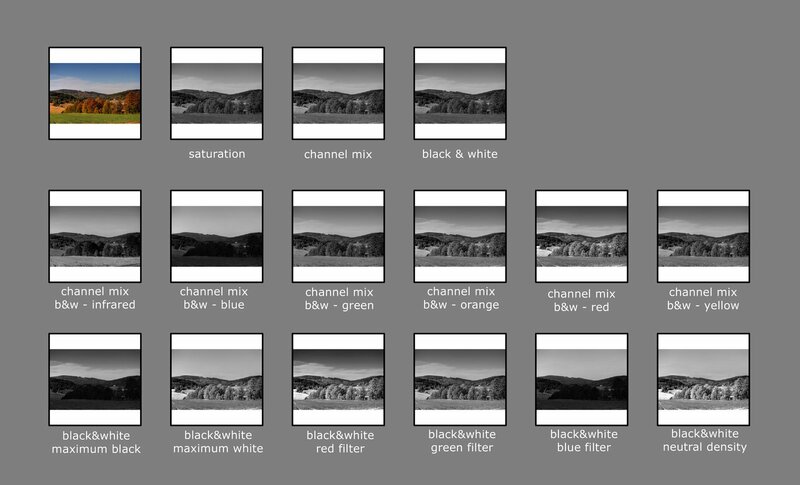 This is easy… just set different filters with different settings on each layer and you have your “quick preview”. As I already written, it is easy to create PSD file with smart objects (Photoshop CS3 only), but why to spend time creating one, when you can download already created file (5MB download)? If you are interested, I made one this morning and You can freely use it. Just download it from here (did I say it is 5 megs?). 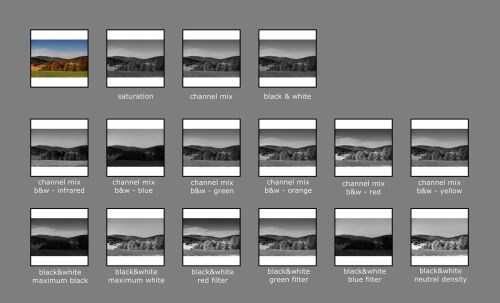 Under every b&w variant you can find description about used filter and preset. 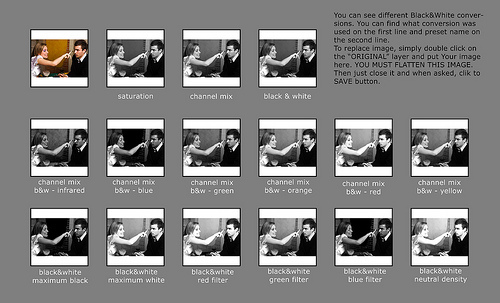 You can also watch the show for the next step of Black and White photo conversion – Quickly applying the desired filter. Want to make sure you get more great articles? Register to the RSS feed or the newsletter.